It’s time to call #TimesUp on anyone standing solo against power. And then we saw the man she accused turn truculent, angry, accusatory, and simultaneously weepy—his teary belligerence entirely consistent with the character profile of one who commits abuse. Exactly as predicted, the nomination of Judge Brett Kavanaugh narrowed to just two people and who believed whom and what. I can say without hesitation that I believe her. But that’s not all. I believe Judge Kavanaugh lied to Congress when he denied all knowledge of the Bush administration’s War on Terror and all knowledge of its treatment of detainees when he was a top lawyer in the Bush White House. I believe Brett Kavanaugh lied to members of the Judiciary Committee back in 2006 about what he knew about warrantless wiretapping when he was up for a lifetime appointment to the DC Circuit Court. Kavanaugh has denied his involvement in torture and surveillance just as vigorously as he has denied his involvement in the assault on Christine Blasey when she was 15 years old. But he has never denied his extreme views on executive authority or his record of disdain for the less powerful. His record is very, very clear on civil rights, voting rights, labor rights and the humanity of people who happen to be pregnant or migrating or in police custody. All that being known, in that eyes-on hearing room, with a swing seat on the court at stake and control of Congress up for grabs, a single female body was set against that entire record. And that’s what needs to change. It’s time to call #TimesUp on anyone standing solo against power. 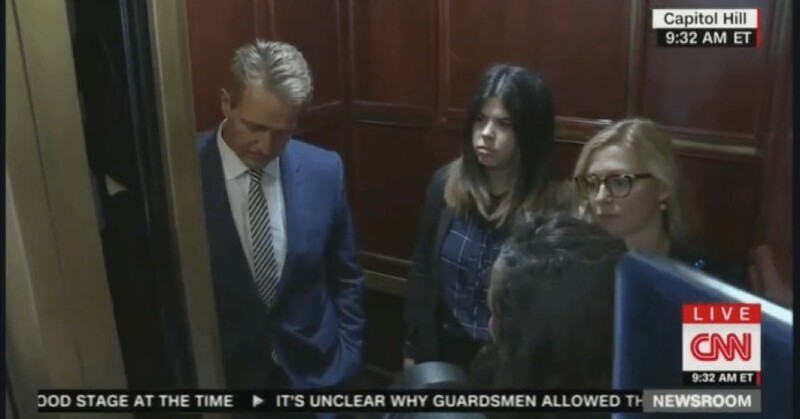 And, in fact, that did change September 28th when a woman stuck her foot in the door of an elevator and gave Republican Jeff Flake, a potential swing voter, a talking-to, and kept that foot in that door so that another woman could do the same, as the cameras rolled, live. The video went viral. That woman, Ana Maria Archila of New York, didn’t stand alone either. 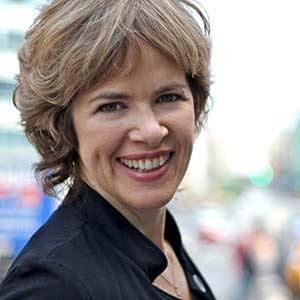 She’s co-director of the Center for Popular Democracy, an organization that’s all about building grassroots power. Whatever happens on the Court, in the rough times ahead, let’s do what Ana Maria did. Let’s let no one stand alone. You can see my interview with Archila on the Laura Flanders Show a year or so ago at www.lauraflanders.org. And thanks.